Next weekend WWE will be putting on one of its four signature PPV events, the Royal Rumble! Friend vs Friend and Foe v. Foe. 30 men will enter, but only 1 will be left standing! The phrase “Every Man for Himself” has never been more appropriate. 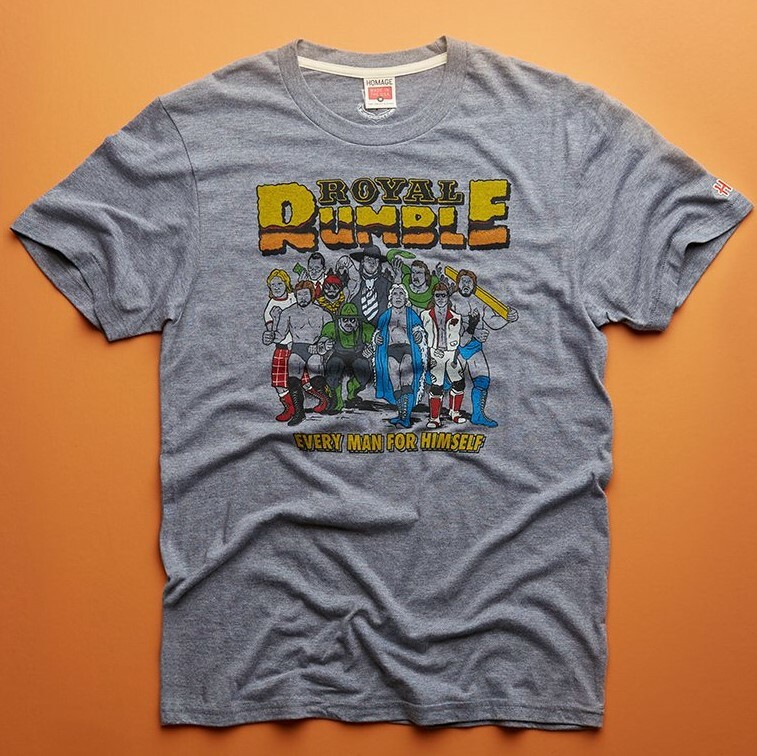 To commemorate this iconic event, HOMAGE has released this epic, officially licensed WWE Royal Rumble T-Shirt Collection! 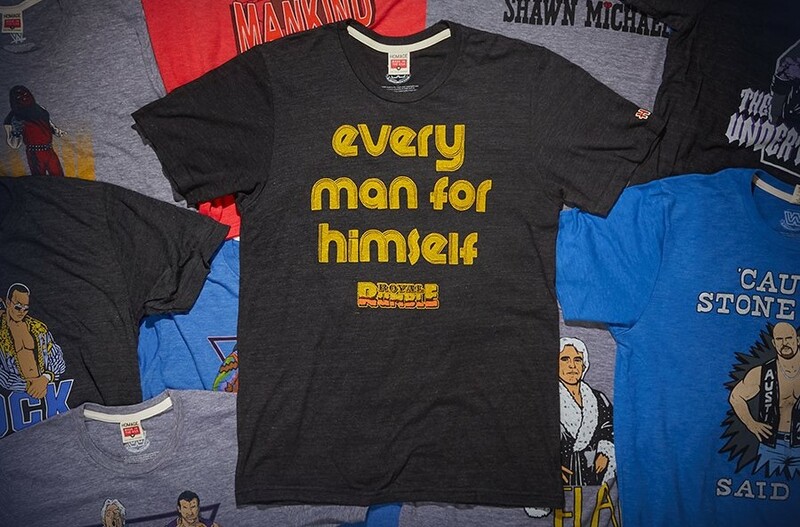 Along with a fantastic Every Man for Himself typography tee, HOMAGE has also released this killer retro Royal Rumble design that is inspired by WWE’s classic Royal Rumble posters from the early ‘90s. For this Royal Rumble t-shirt, HOMAGE included some of the event’s most unforgettable WWE Superstars that defined the era and made the Rumble a can’t miss event every single year. Last but certainly not least is the “Hacksaw Jim Duggan Royal Rumble Champion” t-shirt, which pays homage to everyone’s favorite jab throwin’, bodyslamin’, flag wavin’, 2x4 swingin’ WWE Superstar. 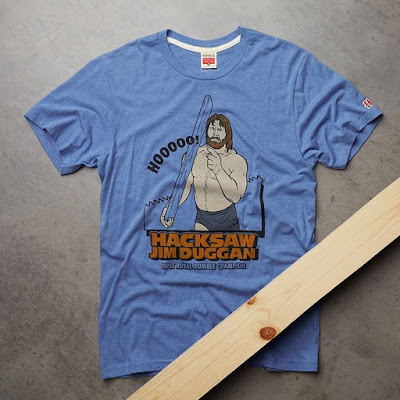 Hacksaw Jim Duggan won the inaugural Royal Rumble way back in 1988, and he is still one of the most beloved professional wrestlers from the ‘80s and ‘90s. HOOOOOO!!!!!! All three WWE Royal Rumble t-shirts seen here are currently available at the HOMAGE online store, in sizes XS-3XL, for $32 each.